All manuscripts submitted are subjected to a double-blind peer-review process, in which the authors and reviewers identities are kept secret from each other. Peer review processes are employed to maintain standards of quality of the journal, improve performance, and provide credibility. The peer review helps the publisher (editor-in-chief and editors, respectively the editorial board) decide whether the submissions should be accepted, considered acceptable with revisions (minor or major), or rejected. The goal of double-blind peer review is for submitted papers to be judged on their scientific merit alone, and thus to reduce publication bias (minimizing bias) and protecting identities. Double-blind peer-review model implies that the author's name and affiliation are not revealed to reviewers, and, in turn, the reviewers name or any other information is never disclosed to the author or other reviewers of the manuscript. In order to ensure the quality of the publications, we require that the reviewers have expert knowledge in their fields of research and have authored a substantial amount of peer-reviewed publications. Selecting reviewers falls primarily under the responsibilities of the editor-in-chief, editors and respectively the editorial board. Manuscript Submission: Manuscripts should be prepared following the Author Guidelines and submitted through the online system. Preliminary Review: After the submission, the manuscript goes through a preliminary technical and editorial check to ensure that it complies with the journal's Instructions to Authors. At this step the technical preparation of the submission is checked, including the language level, referencing/formatting and authenticity using plagiarism softwares. In addition, the Author Statement is required! Articles submitted will not be considered without Author Statement (completed, signed with blue pen, scanned and uploaded as a supplementary file in the submission process) see Submission Preparation Checklist. After the peer review process, if the manuscript is accepted for publication, the Author Statement should be send to us, as original, by regular postal mail. Before forwarding the manuscript for in-depth review, the Editorial Board checks if the manuscript is within the scope of the journal, if it contains a high level of originality and if it follows overall scientific requirements of the journal. Specifically, this preliminary selection considers factors such as: the preparation of the paper according to the Instructions to authors; objective formulation in a clearly and coherent manner; theoretical basis; literature review; analysis of data using appropriate methods; discussion of results in relation to scientific literature; contribution to the scientific area; quality of tables and figures; originality and consistency of the research etc. Manuscript rejected at editorial level If a manuscript does not meet the requirements of the journal (scope, originality, does not follow Author Guidelines, etc.) it will not be forwarded to an in-depth review. 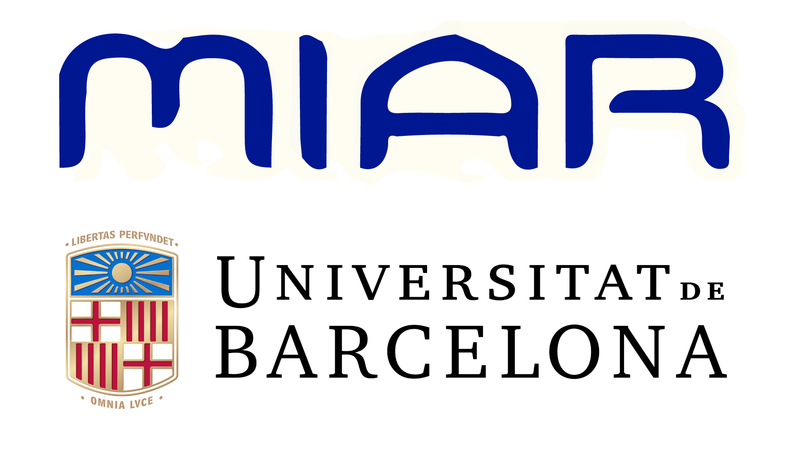 Manuscript accepted for peer review If the manuscript meets the journal's requirements (both at technical and editorial level), it is forwarded to peer-review. Editor selects reviewers - Reviewers are selected on the basis of a number of factors such as expertise in the area of research, specific recommendations, availability, previous experience and prior history of providing timely and quality feedback to authors. Invitations to review a manuscript are confidential. Reviewers are asked to examine and assess the manuscript, its research design, methodology, validity, accuracy, originality and significance of findings. Editorial board members and reviewers must treat the review process as strictly confidential, and not discuss the manuscript with anyone not directly involved in the review. Peer review results - After the reviewers complete their review reports, the Editor-in-Chief collects and compiles their reports and makes the final decision about the content of the review report which will be sent to the authors. If review reports deem the manuscript to be unacceptable, the Editor makes the final decision based on the collected review results and the suggestion of the Associate Editor. Authors are informed that their manuscript will not be published in the journal based on unfavourable reviewers' comments and the decision of the Editor-in-Chief. If reviewers suggest acceptance of the article, the Editor-in-Chief makes his final decision based on these suggestions. 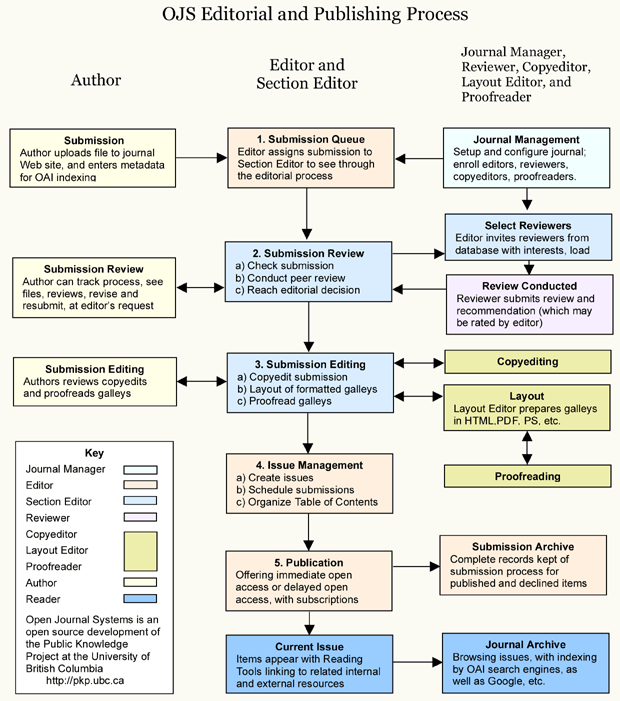 Authors are informed about the acceptance of their article and that their article will be forwarded to the publishing process (‘Copy-editing’, ‘Layout’, ‘Proofreading’ – see below; more information on ‘OJS Editorial and Publishing Process‘). Manuscript sent back to author for revision - Authors should address the referees comments and send their responses in a separate document (Response to reviewers). Once the corrections have been made, authors need to send (re-submit) their manuscript as well as the "Response to reviewers". Reviewers check the revised manuscript - Revised manuscript, along with "Response to reviewers", is forwarded to original reviewers who are then asked to review the manuscript again, for their final decision. Should the reviewers find that no further revision is necessary for the manuscript, it is accepted "as is" and forwarded for editing process. Should the reviewers find that the manuscript is still not suitable for publication, it is rejected and further processing is discontinued. Editor confirms final decision - Review reports are sent to authors. All submissions will be reviewed by at least two reviewers. Reviewers will be invited to supply review comments to authors, using e-platform for review, respectively comments to the author(s) and editor(s). They can do the review as they like, in a 'standard' pattern, as well as comments, opinions, suggestions or recommendations to the authors (in order to help them improve their manuscript). Usually, they are invited by the editor(s) to do the reports using 'Journal Review Form' (please see below), and/or directly on the manuscript, using Track Changes. The general purpose of your review is to assist the editors in evaluating the worthiness of this manuscript for publication, and to help the author(s) make improvements to the manuscript. Please consider in your comments the aspects from the table. If your evaluations in some point(s) are negative, please give clear arguments. If you consider, you can directly make some corrections within the manuscript (using Track Changes), or make suggestions using reviewing/comments. Instructions: The journal is committed to high academic standards, treating publication as a collaborative process between Author, Reviewers and Editors. The goal of the peer review process is to improve the academic and scientific quality of the submissions. 1 Does the title of the paper clearly reflect its contents? 2 Is the abstract sufficiently informative, covering all sections, eg. purpose, technical approach, results, and conclusion/recommendation? 3 Does the introduction state the scientific problem clearly? 4 Is the description of materials and methods sufficiently informative to allow replication of the experiment? 5 Are the statistical methods used correctly and adequately? 6 Are the experimental results consistent scientifically and/or practically? Are they sufficient to justify the conclusions? 7 Are the results properly presented and the manuscript is adequately discussed (concise and tightly argued)? 8 Does the paper make a significant new contribution to the advancement of knowledge or towards a better understanding of existing concepts? 9 Is the content of the manuscript acceptable and article structured in agreement with instructions to authors? 10 Do the tables and figures contain relevant results and information? Are they adequately described (units, definitions, abbreviations) and self-explanatory? 11 Are the references adequate and properly chosen? 12 Does the English language require improvement? The topic of the paper: is relevant, timely, and of interest to the audience of the journal? Is the article sufficiently novel and interesting to warrant publication? Does it add to the canon of knowledge? Does the article adhere to the journal's standards? Is the research question an important one? Introduction: Does it describe what the author hoped to achieve accurately, and clearly state the problem being investigated? Normally, the introduction should summarize relevant research to provide context, and explain what other authors' findings, if any, are being challenged or extended. Describe it the experiment, the hypothesis(es) and the general experimental design or method? Method: Does the author accurately explain how the data was collected? Is the design suitable for answering the question posed? Is there sufficient information present for you to replicate the research? Does the article identify the procedures followed? Are these ordered in a meaningful way? If the methods are new, are they explained in detail? Was the sampling appropriate? Have the equipment and materials, experimental techniques (statistical methods) been adequately and correctly described? Does the article make it clear what type of data was recorded; has the author been precise in describing measurements? Results: Does the author(s) explain clearly laid out and in a logical sequence what he/she/they discovered in the research? You will need to consider if the appropriate analysis has been conducted. Are the statistics correct? If you are not comfortable with statistics, please advise the editor when you submit your report. If the 'Discussion' is in a separate section, interpretation of results should not be included here. Discussion / Conclusions / Recommendations: Are the claims in this section supported by the results, do they seem reasonable? Have the authors indicated how the results relate to expectations and to earlier research? Does the article support or contradict previous theories? Does the conclusion explain how the research has moved the body of scientific knowledge forward? It seems reasonable if in discussion or conclusion the autor(s) indicate how the results relate to expectations, if the article support or contradict previous theories, the contribution to scientific knowledge, eventually recommendations.